The evidence behind the U.S. Food and Drug Administration (FDA) recent drug safety warning regarding prolonged anesthesia in infants and young children is discussed in the October issue of Plastic and Reconstructive Surgery, the official medical journal of the American Society of Plastic Surgeons (ASPS). Pending further research on the possible hazards of anesthesia, elective plastic and reconstructive surgery procedures lasting more than three hours can be delayed until after age 3 if possible, according to the special topic paper by Dr. Christopher Armen Derderian of University of Texas Southwestern Medical Center, Dallas, and colleagues. If surgery can’t be delayed, strategies to reduce the child’s anesthesia exposure are recommended. Late last year, the FDA issued a Drug Safety Communication warning that repeated or lengthy use of general anesthetic and sedation drugs during surgeries or procedures in children younger than 3 years or in pregnant women during their third trimester may affect the development of children’s brains. This included adding a “black box warning” for several widely used anesthetic and sedative drugs. Dr. Derderian and colleagues provide an introduction to the evidence behind the FDA safety warning, how to discuss the risks with parents and steps to avoid or reduce exposure. The FDA warning is based largely on studies in rats and other animals suggesting that prolonged exposure to anesthetic drugs in early life can have adverse effects on brain development. These studies raised concerns for possible negative effects of general anesthetics on the developing human brain. The warning focuses on repeated exposure to anesthesia, or exposure lasting longer than three hours. There is special concern about exposure during the first three years of life a critical time for brain development. Fortunately, most surgeries in this age group are less than three hours. The safety warning acknowledges that there are many situations where surgery in infants and young children cannot be avoided. In plastic and reconstructive surgery, cleft lip and palate repair is specified as a procedure that usually needs to be performed before age 3 to achieve optimal results. Intensive research is ongoing to clarify the potential harms of anesthesia on the developing brain. Some studies using population databases have linked anesthesia exposure to adverse outcomes such as learning disabilities, attention-deficit hyperactivity disorder and lower performance on standardized tests. Other studies have found no such effects, after accounting for other risk factors. While it’s not always clear whether early anesthesia versus delayed surgery poses the greater risk, the authors suggest that surgery should be delayed until after three years-if doing so will not cause any additional harm to the child. If possible, delaying surgery until after age 1 year may avoid most of the risks. 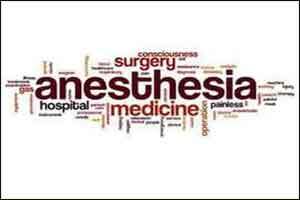 The authors also outline measures to reduce risk, including alternative strategies to reduce a number of general anesthetic drugs required. Studies are underway to evaluate approaches including a sedative called dexmedetomidine, which may have protective effects on the brain.